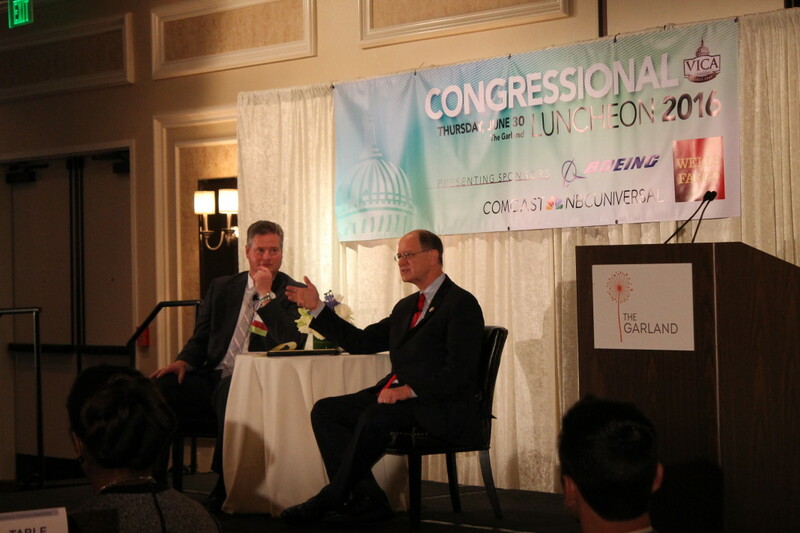 The Congressional Luncheon is a unique and fun opportunity to directly engage elected officials from Washington who represent the San Fernando Valley. 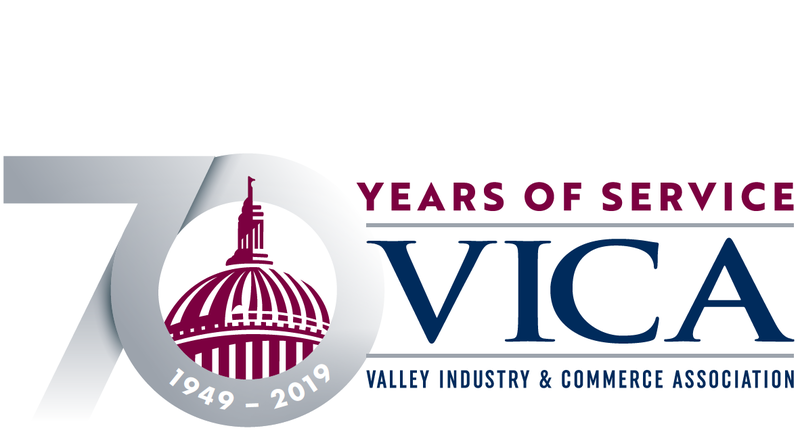 VICA's 5th Annual Congressional Luncheon was held Wednesday, April 4th at The Garland. The event is presented by The Boeing Company, Comcast NBCUniversal, and Wells Fargo. 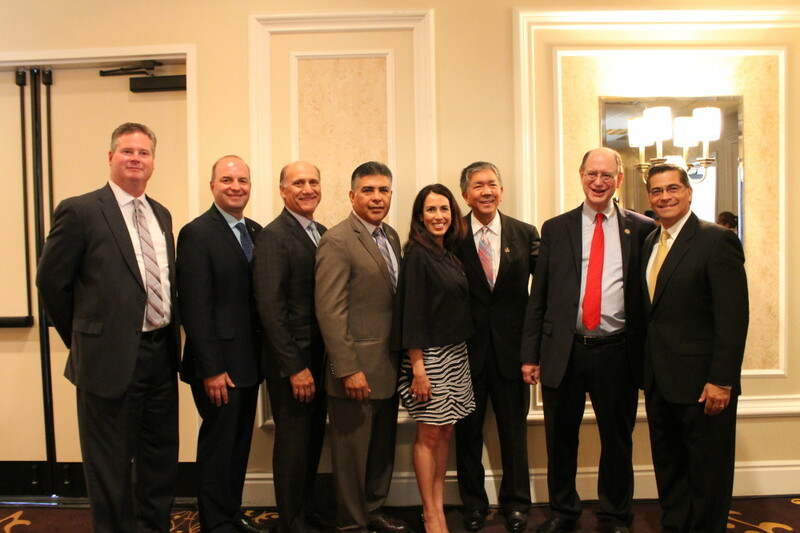 VICA members pose with Rep. Tony Cárdenas, Rep. Brad Sherman and former Rep. Xavier Becerra. 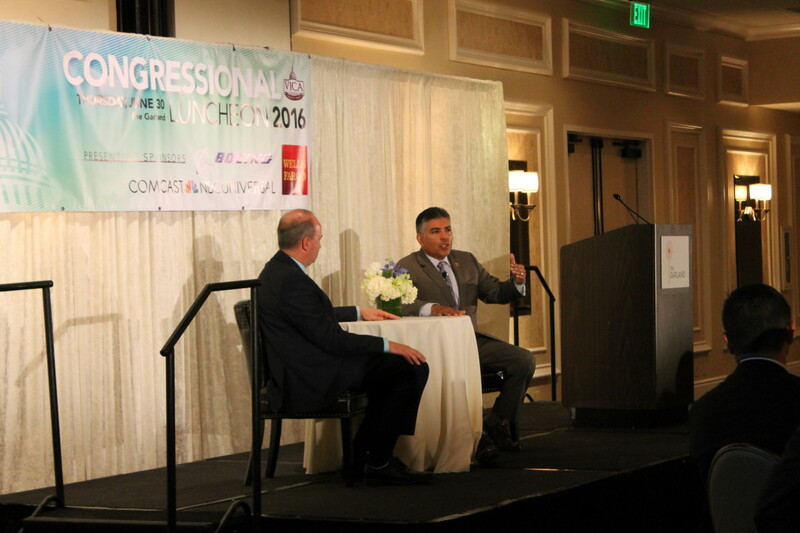 Rep. Tony Cárdenas talks to VICA membership at the 2016 Congressional Luncheon. Rep. Brad Sherman talks to VICA membership at the 2016 Congressional Luncheon. 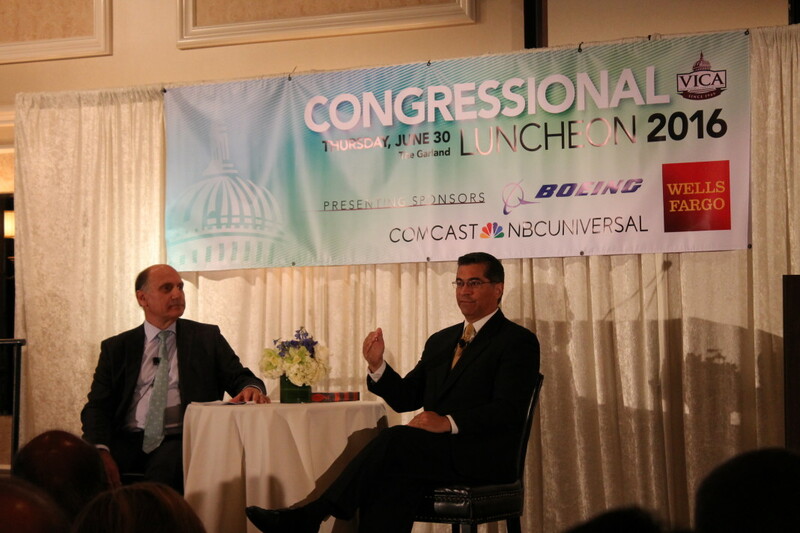 Former Rep. Xavier Becerra talks to VICA membership at the 2016 Congressional Luncheon.